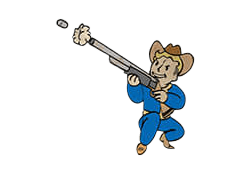 Rifleman is a Perk in Fallout 4. It is associated with the Perception Stat. Rank 1: Keep your distance long and kill count high. Attacks with Non-Automatic Rifles do 20% more damage.